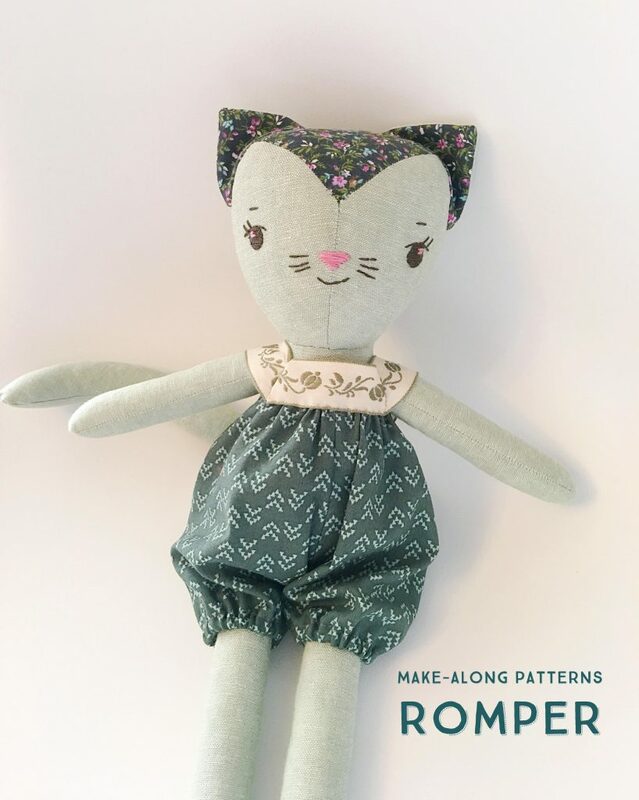 Here’s an outfit for your Make-Along doll that will take her from pajamas to princess in 3 steps. 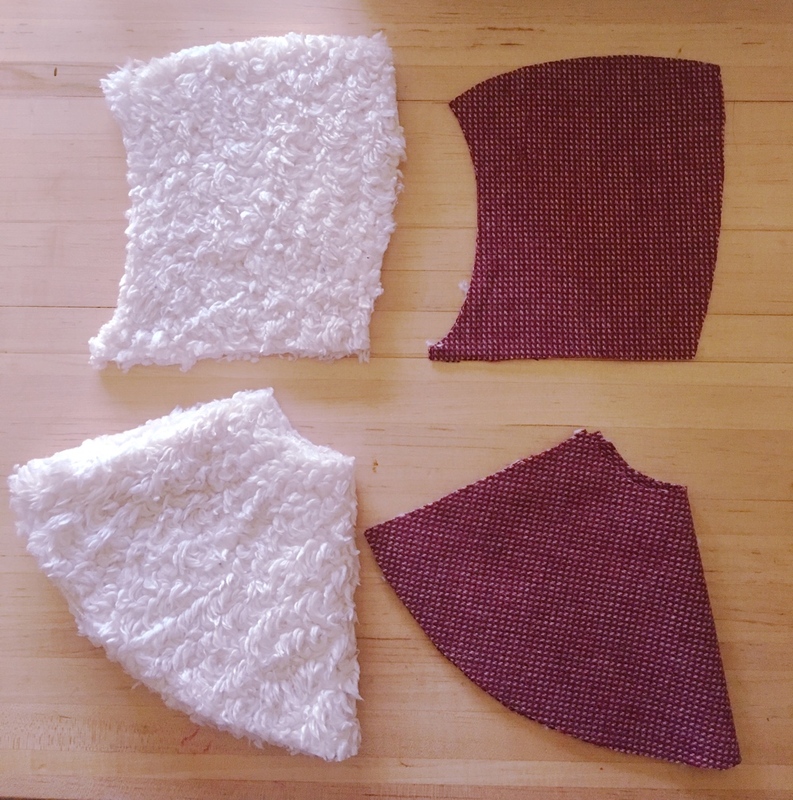 Step 1: Cut the pieces out of the cape fabric and the lining fabric. 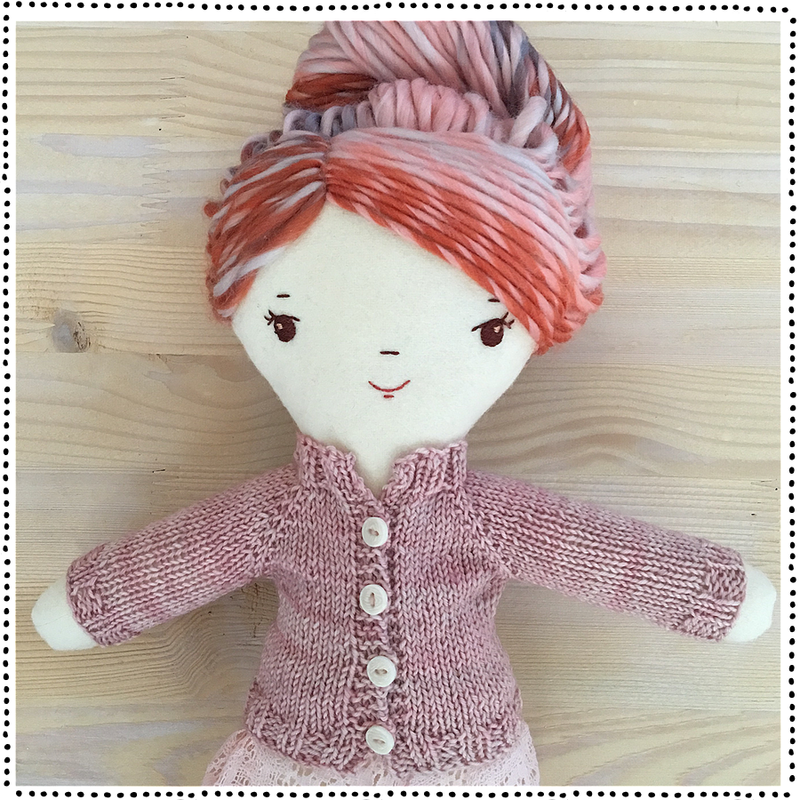 My lining is faux shearling and the cape is wool tweed. 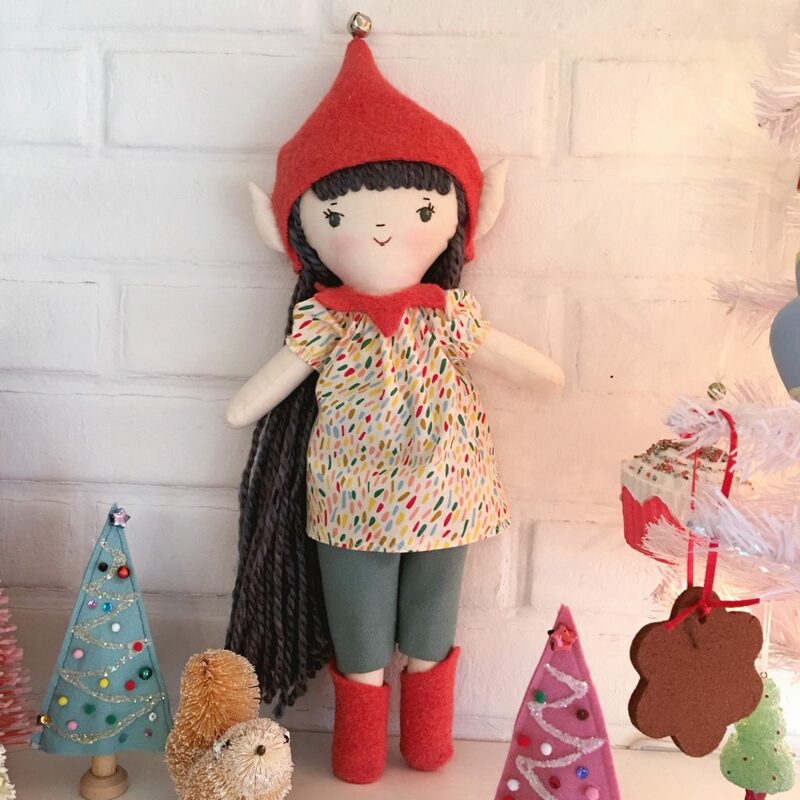 Is your Make-Along doll feeling mischevious this season? 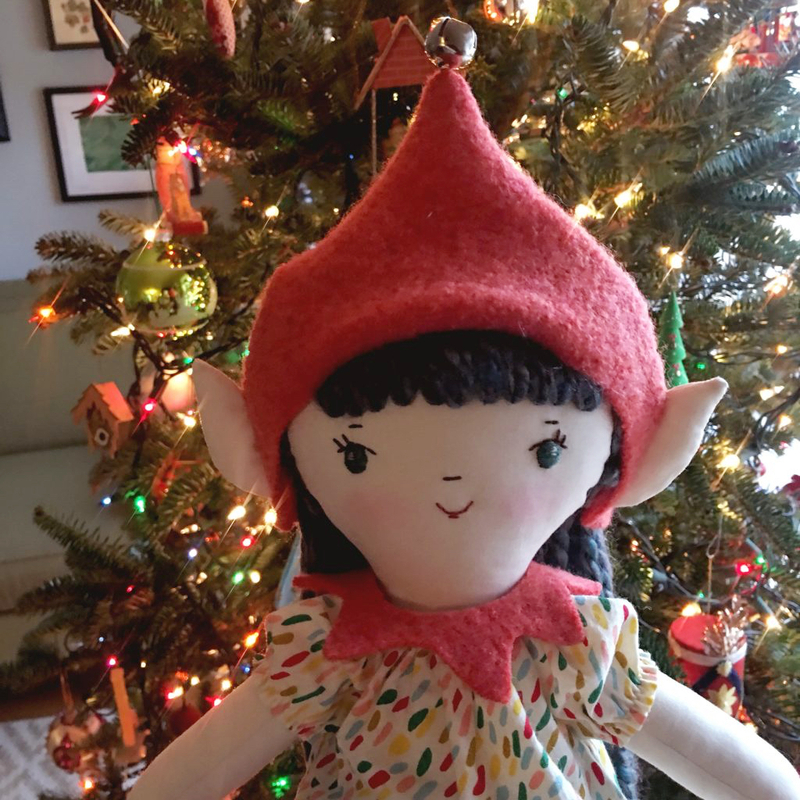 Use this free pattern to make her own jaunty elf hat complete with ears! Also included, a pointy collar and boots to complete the transformation. 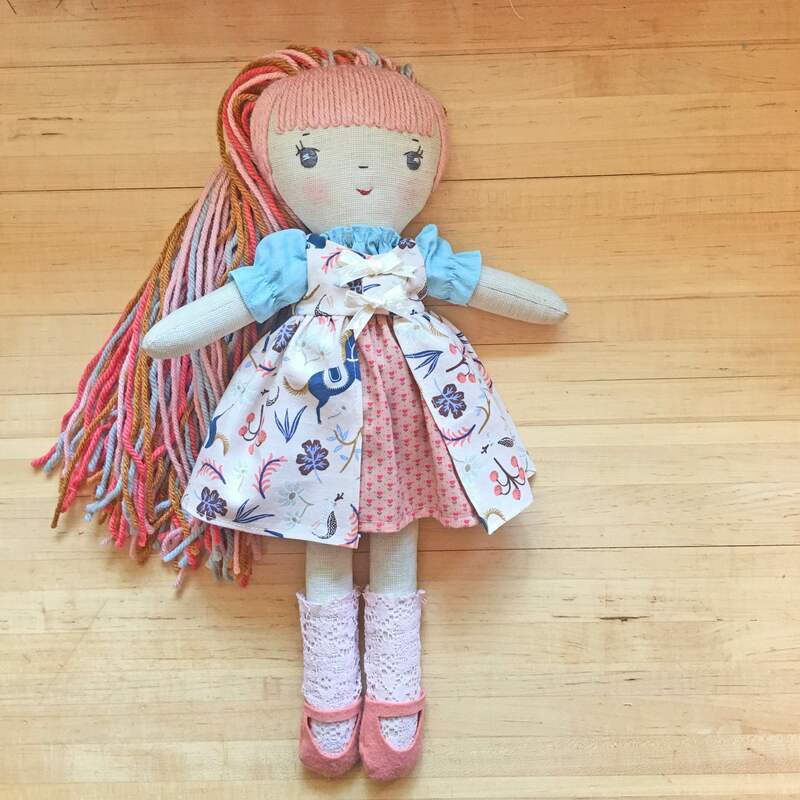 Use fleece or felted wool to make accessories that don’t need finishing and have a little stretch to them so they’ll fit easily.